BlackBerry’s stock is up by almost 10 percent today, bringing its share price to 9.93. 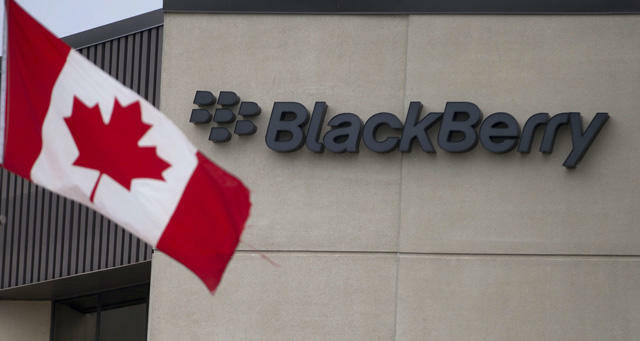 The news follows an announcement from the U.S. Department of Defense stating its mobile program will support up to 80,000 BlackBerry handsets, though that doesn’t guarantee the U.S. government will be purchasing a single new smartphone from the Canadian company. After failing to find success with the Z10 and Q10 smartphones last year, BlackBerry’s new CEO John Chen recently laid out a fresh strategy for 2014. The company recently announced plans to work with Chinese manufacturer Foxconn on an entry-level smartphone targeting Indonesia, while BlackBerry says it will continue to develop a new high-end QWERTY smartphone at its own facilities. Why BlackBerry’s stock rallied today of all days is unclear. The Department of Defense’s announcement was issued last week, and Chen hasn’t made any big announcements since CES 2014 earlier this month. Still, with 2013 behind it the company hopefully has nowhere to go but up, and maybe investors are simply responding to BlackBerry’s newfound optimism.